How easy is it to navigate pipingdesigners.com? 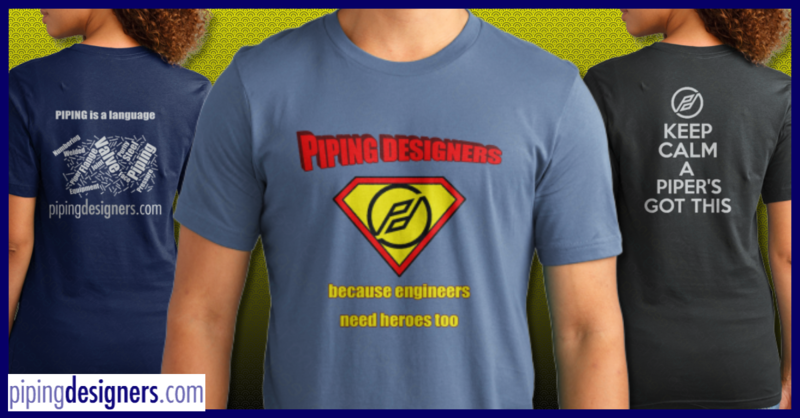 How easy is it for you to find the information you are looking for on pipingdesigners.com? How often do you log into pipingdesigners.com? How likely is it that you would recommend pipingdesigners.com to a friend or colleague? What section(s) of pipingdesigners.com do you use regularly? Are you registered on our job board? Overall, how satisfied are you with pipingdesigners.com? What can we do to make pipingdesigners.com better? Generally, we were quite happy with the feedback we received ... but there is always room for improvement. These results are based on the first 100 responses - we actually got a lot more. I didn't think the response to the survey would be so good, but I had only set up to collect 100. This should give a good check on our sites health, but unfortunately, we have not been able to gather all the comments. You are free to add comments and suggestions in the discussion section below. First of all, I'll run quickly through the results, then I'll look at some of the comments that were raised (warts and all). From this, it seems that the majority are comfortable with the navigation / menu system on the site. Again, finding information appears to be quite straightforward - although there may be scope to improve how we help you find things. The visual appeal seems ok, and to be honest, the purpose of the recent redesign of the site was to accomplish the above two objectives, Navigation and access to information - That being said, I'm wide open to suggestions as to how the aesthetics can be improved. It seems that pipers don't log in as regularly as before, which is a pity, because there is a lot of information there, and plenty of pipers who would like to engage in debate etc. This is an area where we (me) must look to improve on, and get you guys engaging more. The likely, and highly likely areas scored well - but we need to find out why some folks (1%) are in the "Definitely Not" camp, and what can we do to change their minds. I'm not sure what we can really take from this, other than the areas of interest from pipers shows quite a healthy variety. 2. We are not offering the jobs they are looking for - which we need to change. Satisfaction with the site is high, but there is some dissatisfaction here, and we intend to rectify that. We have some comments (below) that we are starting to look at, and we will address them. Any other comments and suggestions are welcome. This was where we asked, straight out what you wanted us to do. The responses ranged from "Shut it down" to "I wouldn't change a thing" - I believe we are somewhere in that range! I've broke the comments and suggestions into general topics, as some of the comments were repeat comments, the wording may not be exact. Advertise so the website is used more as a standard point for designers. - We do some limited advertising, but have mainly relied on word of mouth from pipers. Email updates for site changes additions. - We only use this for major changes, as in our experience, people don't want to be flooded with emails every time we change or tweak something. We do post on the LinkedIn "Piping Designers" group, on the Facebook "Piping Designers" page, on Twitter, and Google plus when we have updates, so please, join/like/follow/+1 what ever social media platform is your favorite. Encourage more blogs and user participation. - We try to actively encourage it - maybe we just aren't good enough at encouragement. Let us know if you can help! Not a lot of Forum activity. - I have noticed that too - although there are still a lot of people looking at the forum! This may be a result of previous login issues, and people have not tried to login again since ... I'm hoping this changes soon. We need every one to be participating in the forums in order to make them successful and useful to everyone. Maybe a marketing website would be more suitable. We have had quite a few comments regarding website issues. The background here, is that when the website was redesigned, the biggest change was in the backend - we now use a Content Management System, this is essentially a DataBase that will make the administration of the site somewhat more sane. We did find that changing the software, including the Forum software, gave us some headaches, particularly around the user login end of things. If you have an issue logging in, try using the "Forgot Login" option. If that doesn't resolve the issue, contact us directly, and we will help you out. Worthwhile website, needs to dominate target market to be successful. Yes ... in terms of dominating the market, we are actually doing ok - but ok is never good enough. I believe that in order to reach all piping designers, we need to understand all the issues that all the pipers have - you need to tell us - ask for help - suggest particular training articles that you would like to see. If you suggest topics, we will try to make it happen. Give juniors / trainees access to Senior / Lead Pipers.. I like this. This is very much where we want to be going. After logging in, you now have a "profile" that can act like a scaled down facebook, or LinkedIn. There is capability to "connect" with other pipers here, and we are looking at setting up some groups. The implementation of this would be easy enough at this stage. I'm thinking along the line of how dating sites are set up, except we can try to match trainees with mentors. Better library of autocad blocks and templates eg for piping iso's 2d. If anyone has blocks or templates that they would like to share, please contact us. More Jobs / More Jobs outside the USA / More "Telecommute" Jobs. I'm seeing a theme here .... more jobs? I'm working hard to convince agents and employers to use the Job Board, it doesn't cost them anything, and they get great access to pipers. If you know of employers or recruiters looking for pipers, let them know about us. Develop a map of where the jobs are. I will look into this one, but it may be limited by the current softwares capabilities. Make sure that the jobs are clearly marked who they are aimed at and which country it is in. The country is a requirement, as are the residency requirements on the part of the employer posting the jobs. It hasn't all been bad though! We have seen quite a lot of compliments and encouragement from pipers. It's great to see that pipers are using and benefiting from the information on the site. "This is my primary piping resource and I like to check in three or four times a month regardless just to review the Q and A in the Forum"
"Great place to find piping information"
"Whenever I'm looking for information on something unusual or less common in pipe fittings/design"
"In my opinion, this is the best piping website on the net." "Great resource for piping info, but also a great place just to browse out of interest. Regularly logging in just to read the latest in the Forum is worth while in itself." "This a great resource and a place just to browse for no particular reason"
"They already know about it!" We are opening this up for comments and suggestions, so please, feel free to contribute! Please feel free to discuss this article. Any comments, suggestions would be gratefully appreciated. Your input can help us deliver better content to pipers.